We are delighted to share the exciting news about a new “Baby & Me” group that will be starting Fall 2015. Mazal Tots is a monthly playgroup and a parenting class all in one! Bring your bundle of joy (birth to 30 months) and join us as we welcome a new week with Havdalah, enjoy music, listen to stories, play games, and more. We will meet monthly on Sundays 10 to 11:30 a.m. during the school year and create lasting learning experiences for you AND your baby. 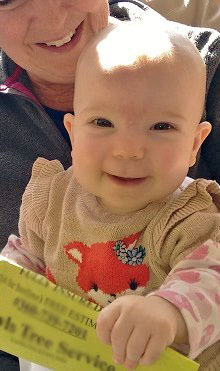 Parents will also be able to connect with other parents as we will be sharing wisdom about everything baby: language development, making friends, starting preschool, finding time for you, siblings, physical development, incorporating Jewish ritual into your family life, and any other topic identified by the group. During some of the meetings we will have guest speakers. Please email us at sagit.hall@bethisraelbellingham.org if you are interested in joining.